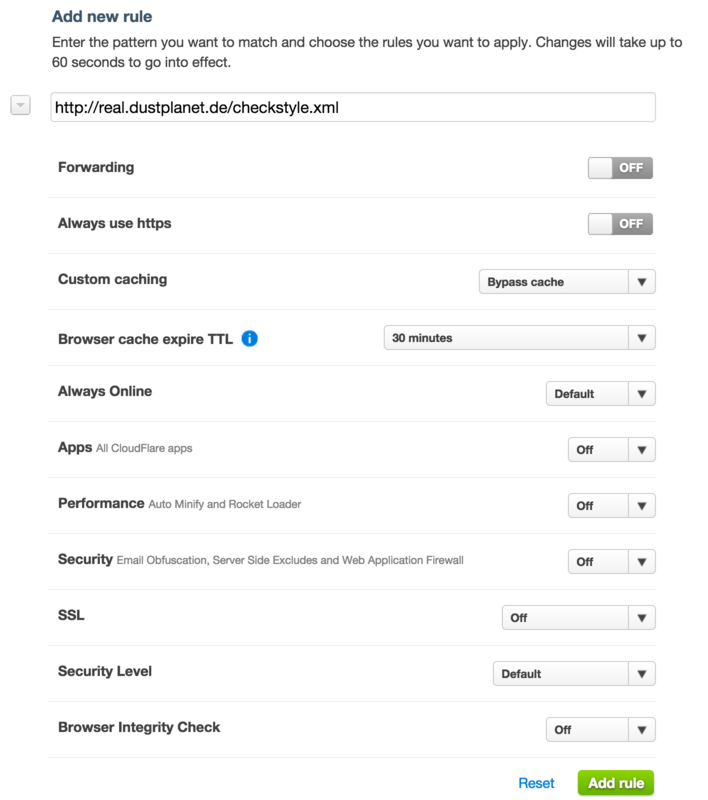 today I’m gonna show how you can configure your Jenkins job to use your custom Checkstyle rules. I assume you already know the development tool Checkstyle to improve your code quality. The Checkstyle routine is based on an XML document which contains information about the rules that should be checked and applied. It seems that Maven could not validate the SSL cert – sadly a known issue of CloudFlare’s SSL and self signed certificates. Edit: 2017/01/06: Recent Java and Maven (at least 3.2.5) versions are capable of CloudFlare and Let’s Encrypt certificates! However, Browser Integrity Check is recommended to be turned off. 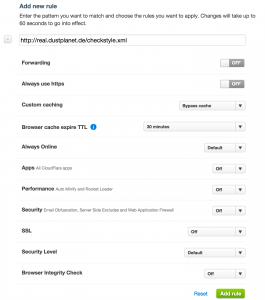 I decided to host the file without SSL but ran into the Browser Integrity Check of CloudFlare. you will need to modify your checkstyle.xml. With version 6.2 of Checkstyle some checks were removed without any replacement. Please refer to the release notes, too. Thanks for reading and feel free to comment if you need help.